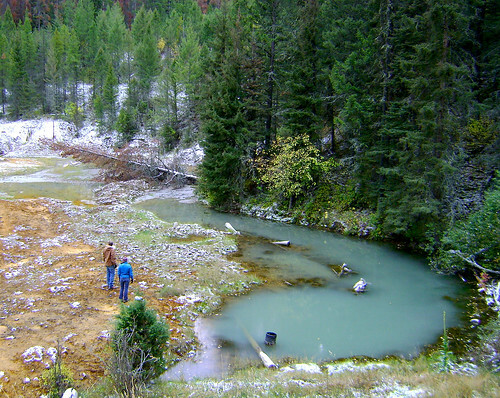 Restoration of spawning creeks is vital to the health of the Clark Fork River. As part of our Orvis Commitment to Protect Nature, we’ve joined forces in 2011 with The Clark Fork Coalition and Trout Unlimited to jump start restoration in the Upper Clark Fork watershed. You can team with us to help restore vital spawning tributaries Cottonwood, Racetrack, and Rock creeks. In a matching funds grant with a goal of $60,000, we’ll match your contribution dollar for dollar. The restoration work focuses on flow restoration, fish passage, connectivity, habitat enhancement, and forest-watershed management projects with the goal of achieving complete, long-lasting health for these vital spawning tributaries. Mine waste led to the Clark Fork becoming a Superfund site. The first plan of action will be to identify and analyze fish passage barriers in the key watersheds that prevent migratory fish from accessing spawning grounds. Bull trout and westslope cutthroat have been found in several irrigation in the Upper Clark Fork River basin. Their sampling represents a fraction of the irrigation ditches in use by private landowners. TU staff will be working with Montana Fish, Wildlife and Parks to contact private landowners, survey selected ditches and investigate headgate structures. Depending on ditch size, location and seasonal usage, fish screens may be appropriate to stop the entrainment of native species. Survey work will help determine the feasibility and type of structure to be installed. This information will be used to prioritize fish passage restoration projects and plan bypass structures and/or fish screens along irrigation ditches, as appropriate, in order to begin to establish multiple, interconnected populations in the upper watershed. Racetrack Creek: Flow restoration projects have the potential to dramatically improve conditions in this stream. According to MT Fish, Wildlife, and Parks, Racetrack Creek is one of four top-ranked priorities for restoration because of its high fishery value, but the lower six miles of Racetrack have dewatering issues in late summer. Cottonwood Creek: Cottonwood Creek is disconnected from the Clark Fork by severe dewatering most years, in both the summer and winter. 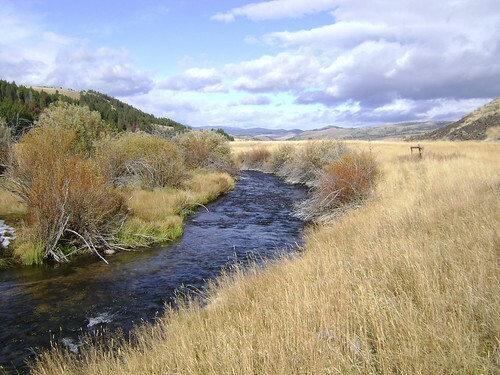 The fishery includes a significant conservation population of westslope cutthroat trout in the upper stretches, and has received a Fish Key Watershed” designation by US Forest Service. By increasing water flow, we hope to re-connect the creek to the Clark Fork during low water events. 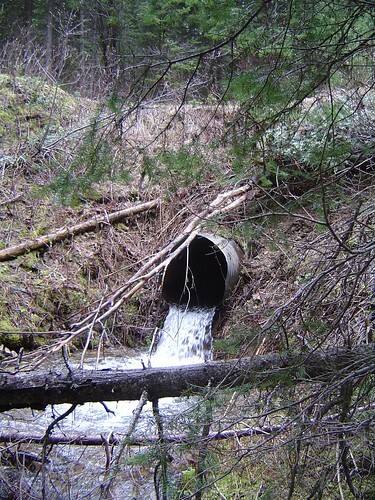 Culverts like this prevent the passage of spawning trout. Rock Creek: The upper stretches of this renowned blue-ribbon trout stream—and principal tributary to the Upper Clark Fork—have been designated as a “Fish Key Watershed” by the US Forest Service. “Fish Key Watersheds” represent strongholds for native fish that require greatest protection, and contain some of the most important future sources of native fish to use in repopulating restored tributaries and mainstem reaches. Rock Creek is one of the few remaining strongholds where bull trout thrive in the northern Rockies. We’ll be posting updates of this and other projects quarterly, so you can keep track of the progress. Donate today and help this historic river. Eric Rickstad is the Managing Editor of OrvisNews.com and Manager of Orvis Sporting and Conservation Communications. He is the author the the novel Reap published by Viking/ Penguin, and of the forthcoming novel Found. He fishes the Battenkill near his house as often as possible and lives in southern Vermont with his wife, daughter, and golden retriever.